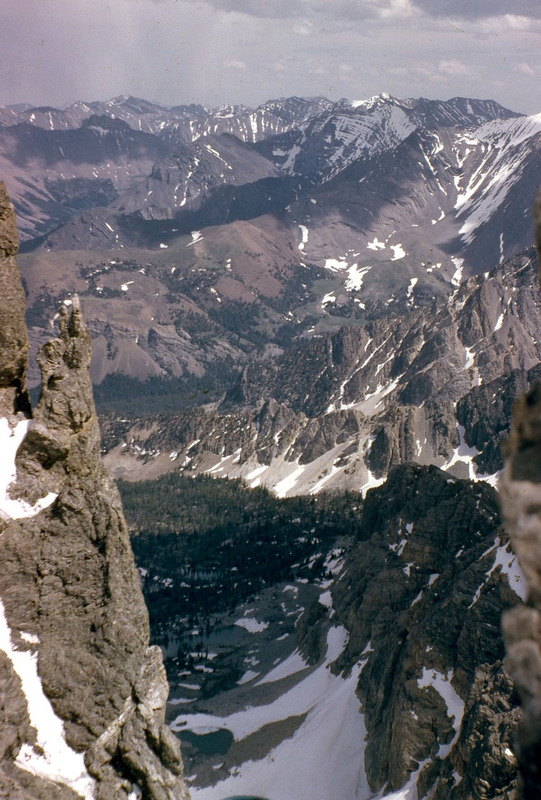 Note from the Editor: This wonderful article, provided for the Climbing History section of the website, includes information that can be used to plan an ascent of Mount Borah’s East Face Dye-Boyer route. 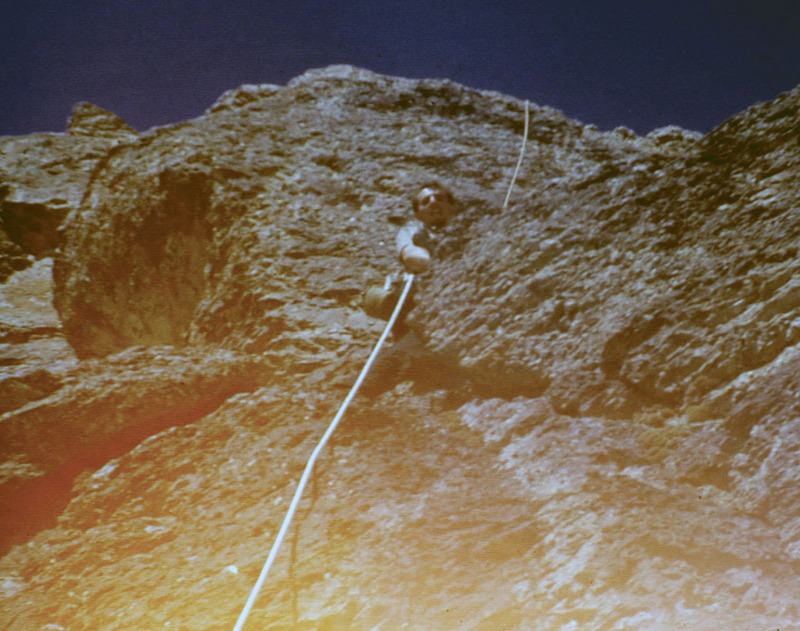 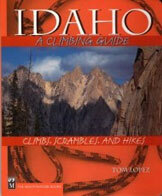 As such, we have also included it as part of the Online Borah Climbing Guide. 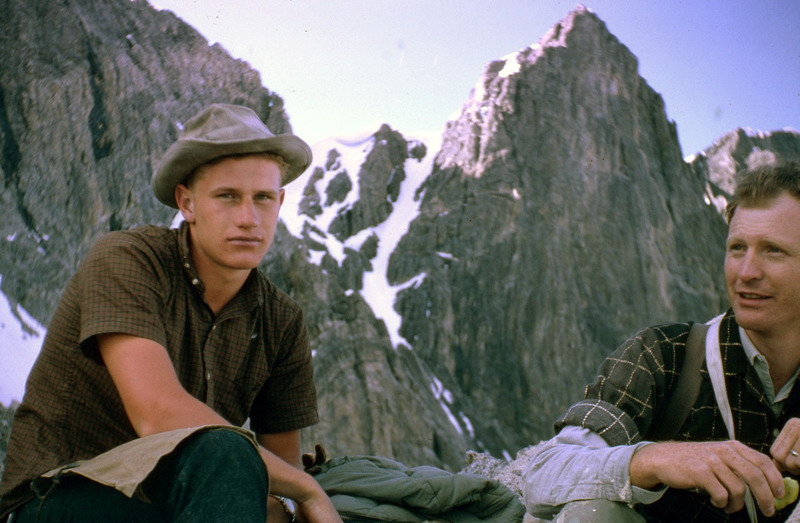 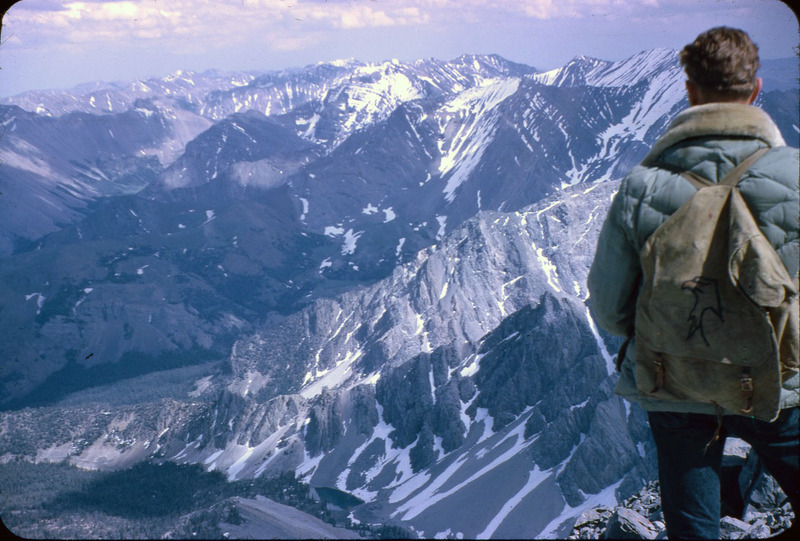 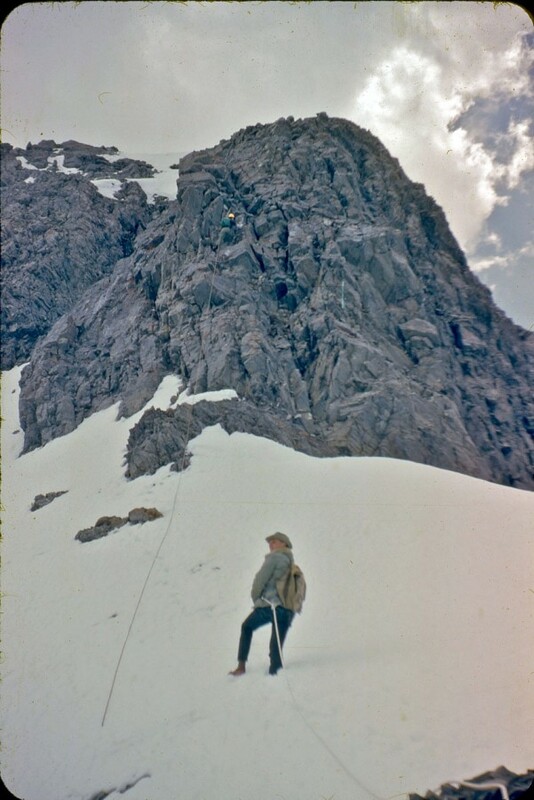 For decades I assumed that Dye and Boyer had gone up Rock Creek (the standard approach to the North Face) to reach Point 12247 and from there climbed the northeast ridge to the summit. 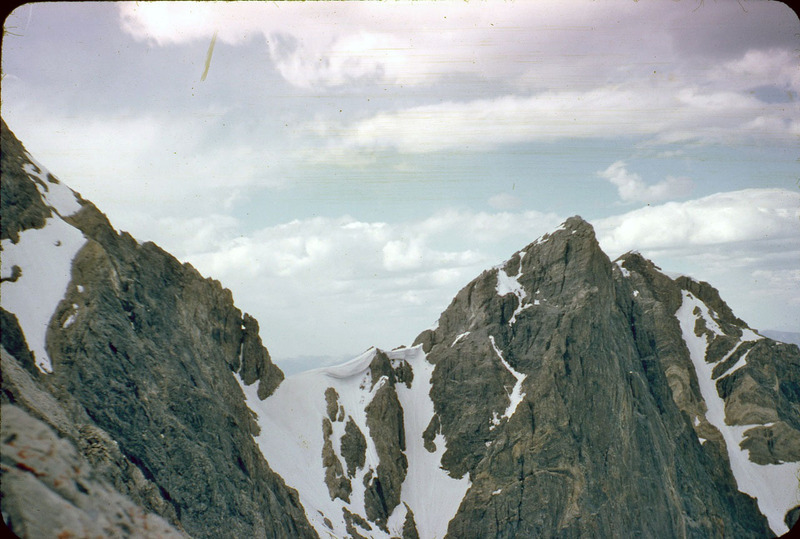 While the northeast ridge does provide a great view of the upper East Face and there is a traverse that cuts across the face, it leads directly to the summit, so I never understood how they could call their route the “East Face”. 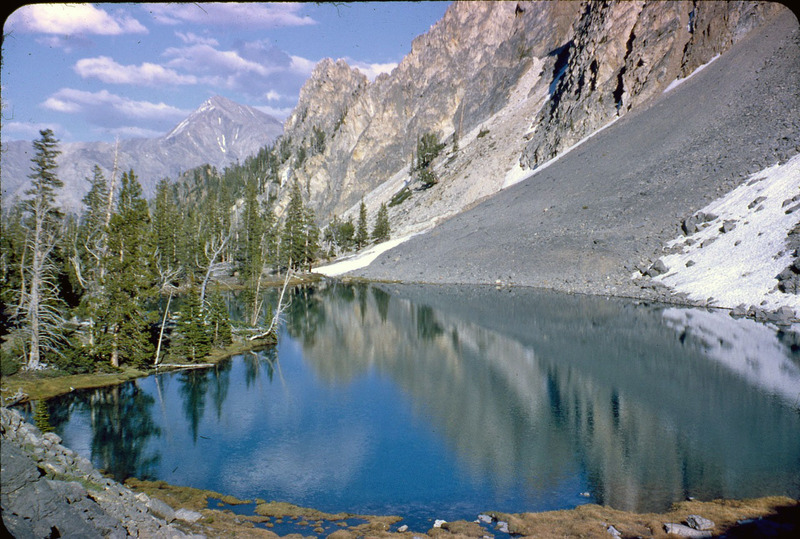 After reading the above description dozen of times and closely studying a topo, I realized that they must have gone up Rock Creek on the Pahsimeroi (east) side of the range. 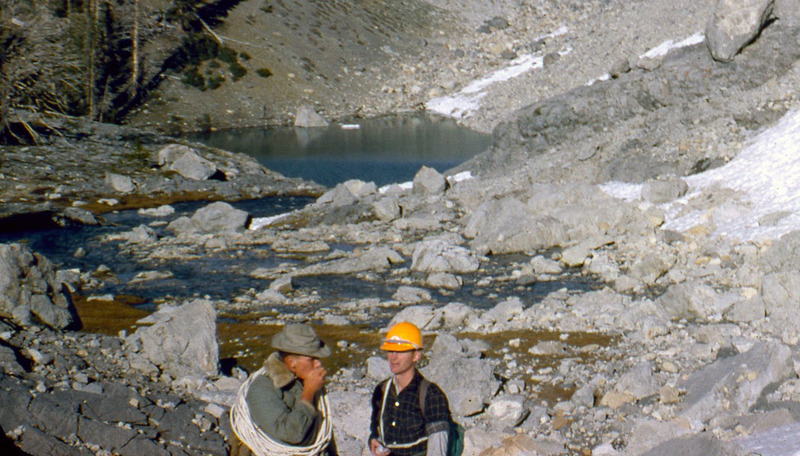 Rock Creek leads to the upper East Face, one drainage north of the East Face cirque where we had climbed in 2011 and 2012. 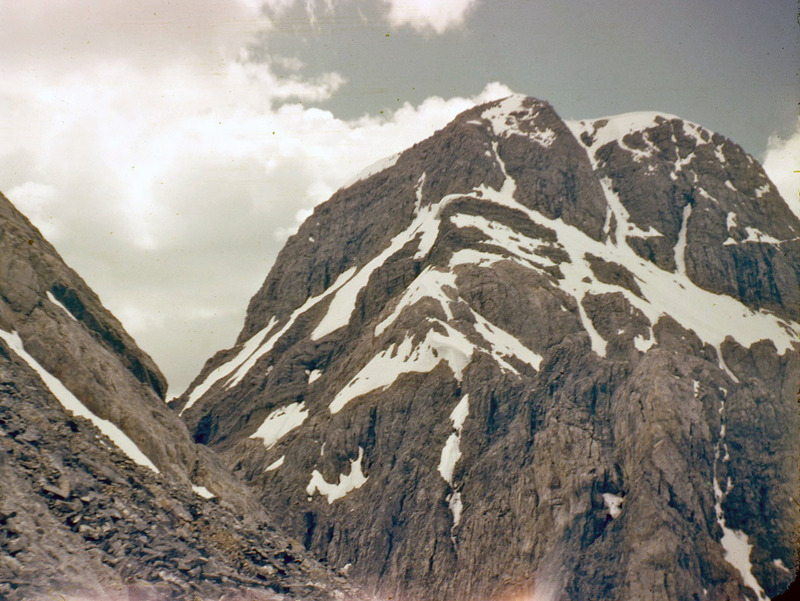 Everything seemed clear to me now except for one detail, and that was how they got to the notch between point 12247 and the summit. 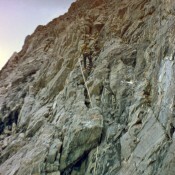 Being more than curious at this point, I contacted Tom Lopez to see if he had any more information about this route. 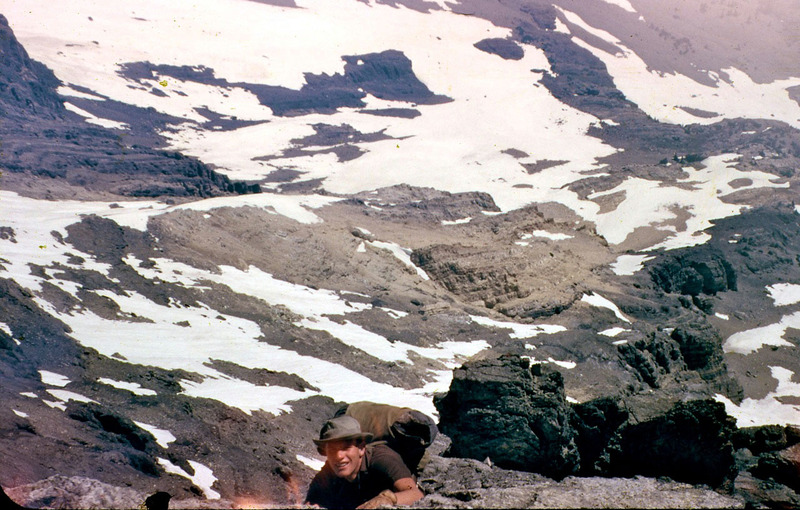 Unfortunately he had none, but he did tell me that Lyman was still alive and living in Idaho. 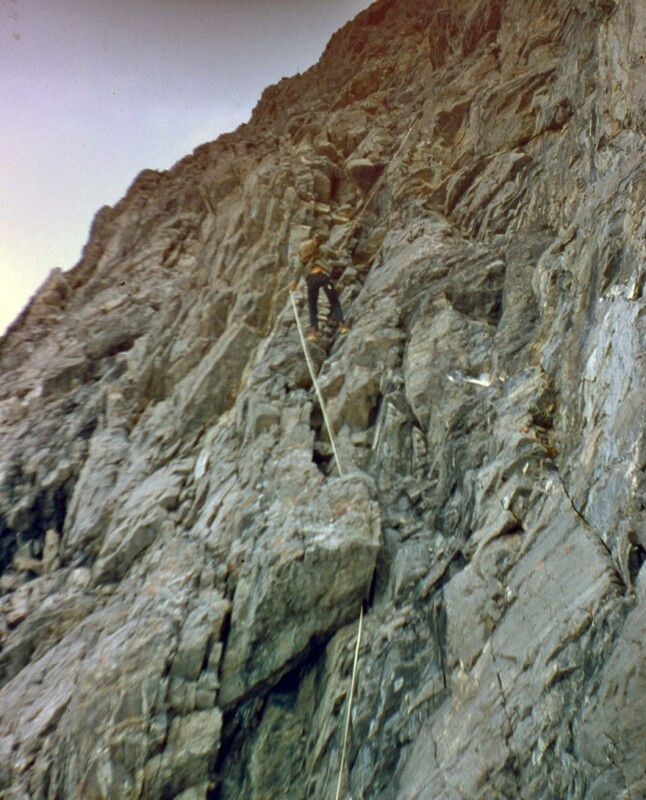 Using this lead, I was able to get in contact with Lyman and he most graciously provided me with all of the pictures and information for this route page. 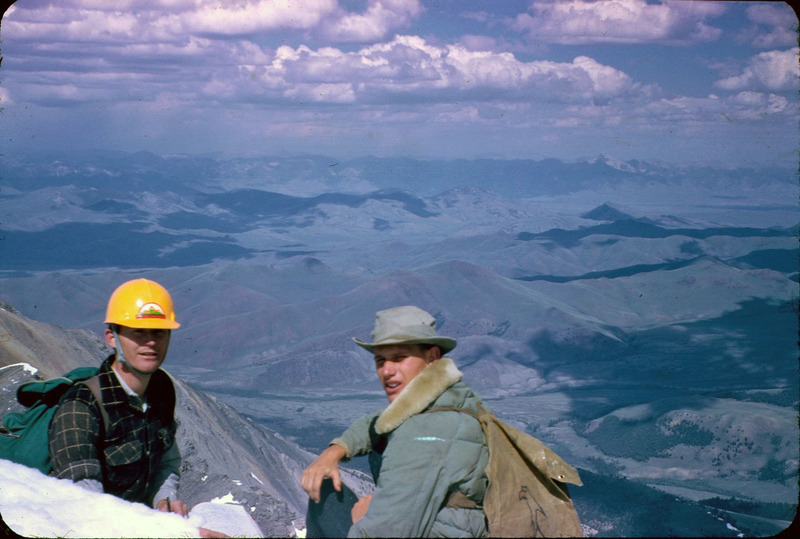 He also told me that he last climbed Mount Borah in 2013, at the age of 80, but that would be his last trip due to his doctor’s orders. 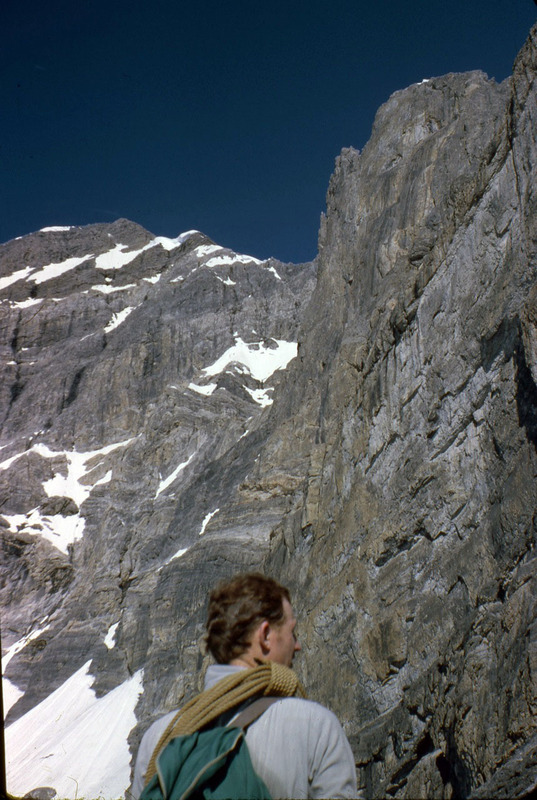 “If you will look at the second picture in the group of pics I sent you, there is a pic of me in profile near the east buttress. 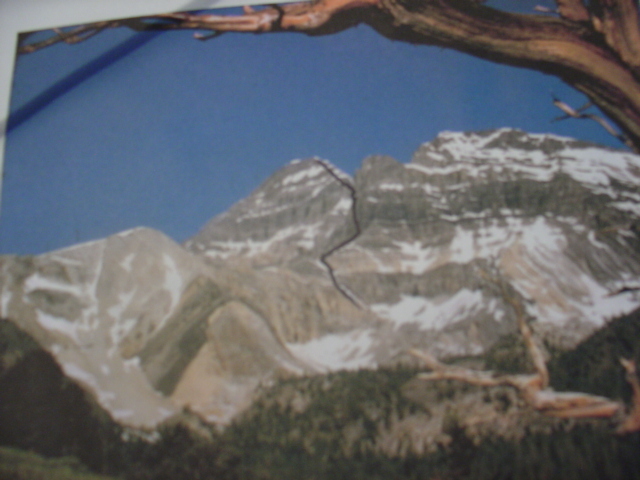 To the left of my shoulder you will see two snow fingers protruding upward to the right like tepees. 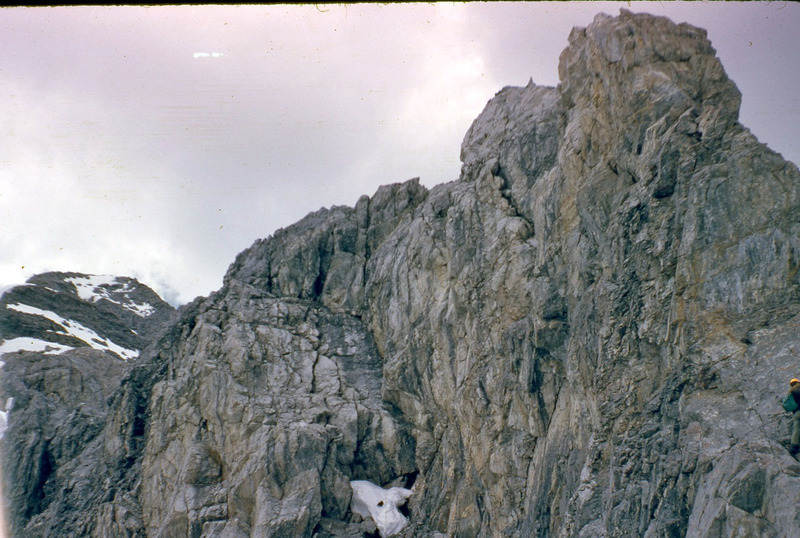 The second one of those has a small snow patch up in the couloir above and to the right. 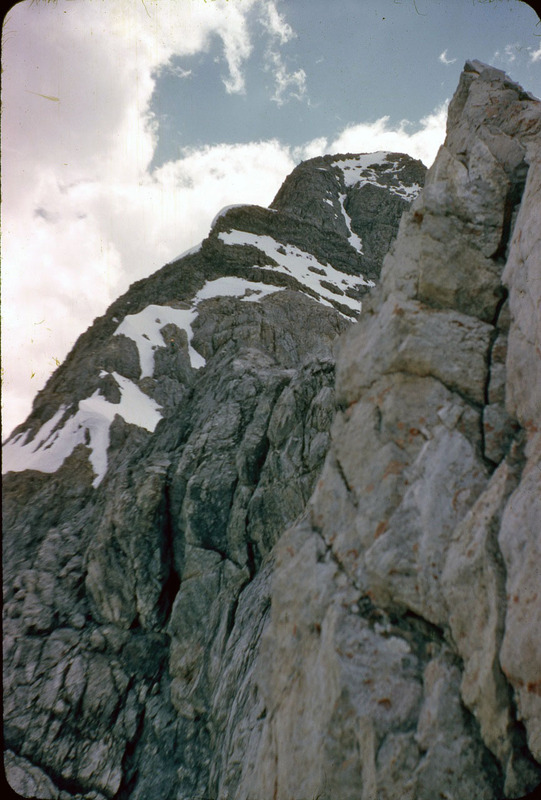 We went up the rock face above that little patch, in and out of the crack, on the left side up to the thin snow finger, that ascends upperward to the right, at the head of the finger to the right, at that point we left the snow and climbed up the cliff formation past the black rock outcropping to the upper snow field. 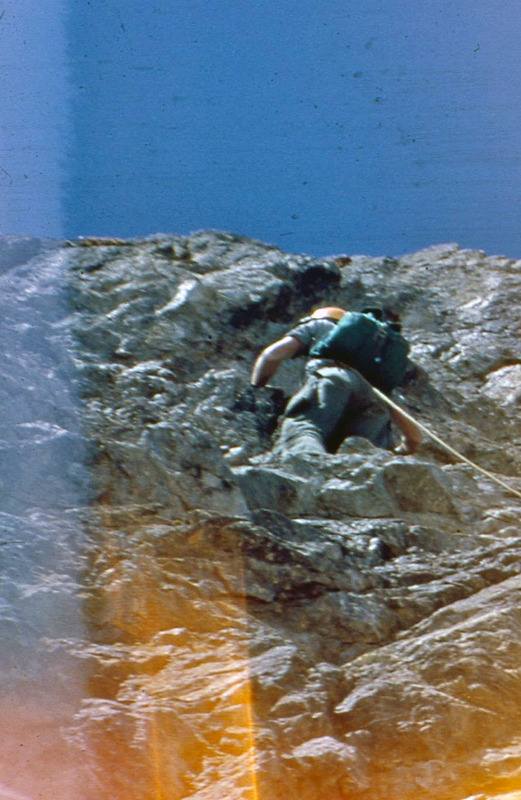 Lyman provided these additional photos taken during the first ascent of the Dye-Boyer Route on the east face. 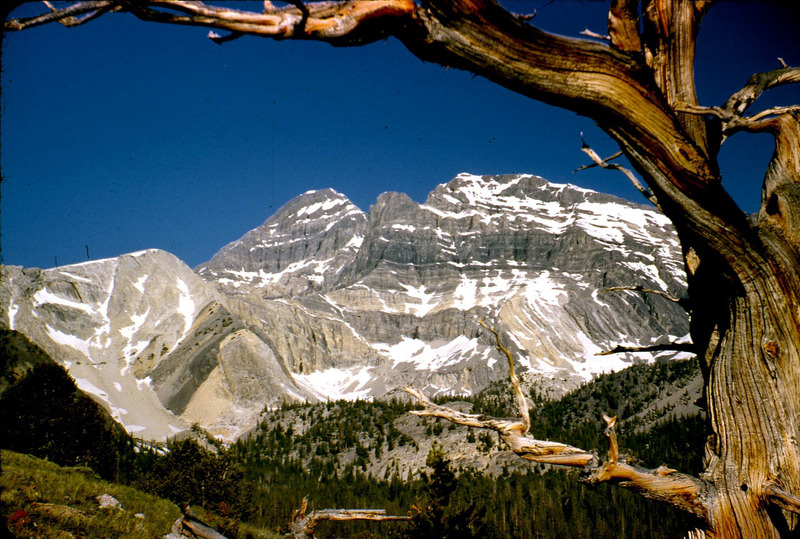 Return to the main Mount Borah page.